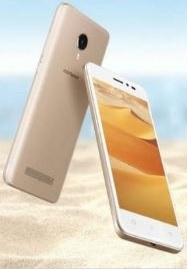 Smartphone manufacturer Coolpad has launched the new Smartphone Coolpad A1 and Coolpad Mega 4A in India. The sale of the phone will start in 3000 multi-brand stores of 8 states. These range of budget ranges will be made available for offline sale. Talk about Coolpad A1, it has an 8-megapixel rear camera. The front camera has 5 megapixels. The 5.0 inch full HD display will be found in it. Coolpad A1 will run on Android 7.1 Nouga. Its price is 5,499 rupees. It will be found in Gold color variants. Coolpad A1 will be equipped with the Spraddrum SC 210. Its clock speed will be 1.1 GHz. The company claims that it will not be difficult to use multiple apps at once. This handset will come with 2 GB RAM. Its inbuilt storage is 16 GB. It is possible to increase it to 64 GB with the help of MicroSD card. The battery has been claimed that it can keep the phone up to 240 hours on standby. Talk about Coolpad Mega 4A, the phone has 5 megapixels in the rear and 2-megapixel camera at the front. There is a 5.0 inch full HD display on the phone with a slick design. Coolpad Mega 4A costs Rs 4,299. It will also be found in Gold Variants. The smartphone will be released for offline sale from Thursday. Coolpad Mega 4A smartphone has 8-core Snapdragon SC 9832 processors. In connectivity, the phone will get Bluetooth, Wi-Fi, 4G and the user will get the convenience. Its highest clock speed is 1.3 GHz. There are 1 GB RAM on the phone. The internal storage is 16 GB. The phone’s battery has been claimed that it can stay on standby for up to 150 hours.